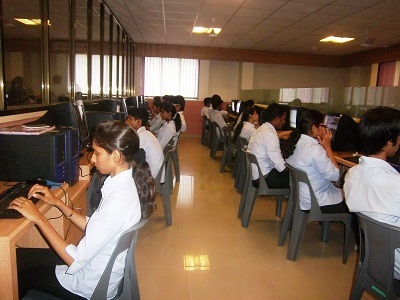 Department of Computer Engineering was established in the year 2009, with the objective of imparting quality education in the field of Computer Engineering. 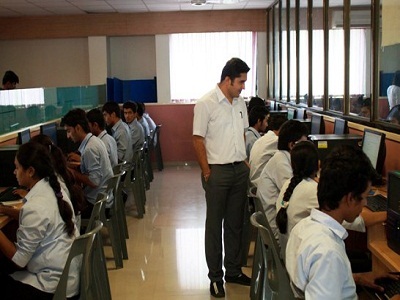 The department started with a 4 year graduate program in Computer Engineering with the aim to develop core competence in the field and to prepare the students to carry out development work, as well as take up challenges in industries and research areas. The curriculum was designed keeping industrial and research needs in view, as well as the rapid development in the IT industry. The department started its 2 year post graduate program as well as Ph.D program in Computer Engineering in the year 2012 imparting a breadth of advanced knowledge in various areas of Computer Engineering. Department has well equipped laboratories with latest high tech hardware as well as software facilities. The department has state of the art infrastructure and computing equipment supported by high speed Ethernet and wireless networks. Faculty members are well qualified and many of them acquainted with industrial experience. To be a premier education and research hub in the field of computer engineering by fostering skill based technical education with overall upliftment of human consciousness. To develop an environment that imparts practical learning with relevant theoretical understanding. To evolve as global research and development centre by reinforcing research activities for upliftment of society. To nurture student’s interpersonal skills, human personalities and inculcate social responsibility that can thrive nation’s development. To be a centre of excellence in information technology by empowering student with modern trends of information age and overall upliftment of human consciousness. To provide a conductive learning environment that foster technical learning in our graduates. To cultivate student in order to keep pace with the industry need and encourage them to deliver a quality product for business success. To nurture student’s human personalities and inculcate social responsibility that can thrive nation’s development. HoD, Computer Engineering/ Information Technology Department, CGPIT. 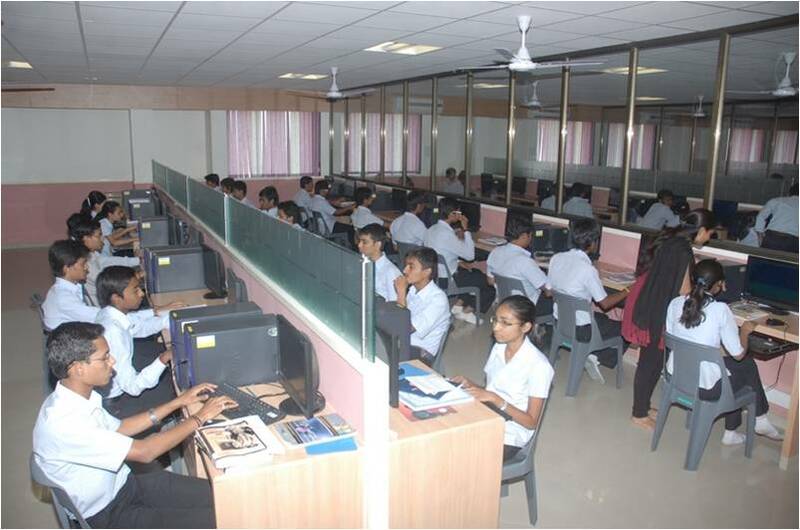 Congratulations, now you are a part of CGPIT, one of the best engineering colleges in South Gujarat region. Research suggests that very few percentage of population in India get a chance to be a part of engineering community. So you are really lucky to have secured admission in an engineering institution, where the management is continuously focusing on developing world class infrastructure with well equipped laboratories, recruiting highly qualified and dedicated teachers, quality education as well as moral development of students. Provided such an opportunity, you must make the best use of available resources and your caliber to mould yourself into a professional who is ready to face any challenges to achieve his/her goal. You all must be very clear with your short term as well as long term goals. To be clear with your goal you must explore your interest in academic and nonacademic aspects as well. This is not easy, you need to work hard continuously and keep your energy focused. To achieve that you need to maintain self discipline and keep patience. You must be clear with the basics of all the subjects that you will study in your curriculum, so you must study them thoroughly. Learn to make studying a fun so that you will always enjoy it and once you start enjoying it you can easily understand and explore new horizons. Apart from academics you should develop your soft skills as well. And for that you should participate in extra-curricular activities which also help you to develop your management skills. We promise to share all our knowledge and expertise with you. We all are here to help and to guide you, solving your problems is a pleasure for all of us. Our best wishes are always with you. May your journey at CGPIT is a continuous learning experience filled with joy. We hope that you will never forget values and ethics throughout your life. All the best and Enjoy..! 1. PSO1: Utilize the knowledge of Computer Engineering for design and development of new technology or concept. 1. PSO1: Organize an IT Infrastructure, manage and monitor resources and safeguard data. 2. PSO2: Provide effective and efficient real time solutions using acquired knowledge in various IT domains. 1. PSO 1: Ability to apply mathematical techniques, the techniques of Data Base Management, and adopt standard software engineering and professional practices to evolve solutions. 2. PSO 2: Develop the skills to solve problems in the broad area of programming concepts and appraise environmental and social issues with ethics and manage different projects in inter-disciplinary field. 3. PSO 3: The ability to employ modern computer languages, environments and platforms in creating innovative career paths to be an entrepreneur or to pursue higher studies. 1. PSO1: Select, design, integrate and administer IT-based solutions based on the requirements using current and emerging technologies. 2. POS2: Ability to apply the theoretical concepts and practical knowledge of Information Technology in analysis, design, development and management of information processing systems and applications also in the interdisciplinary domain. 3. PSO3: Ability to work as a socially responsible professional or as an entrepreneur by applying Information Technology principles. 1. PSO 1: Understand the functionality of hardware and software aspects of computer systems. 2. POS 2: Work professionally in software industries, able to achieve the higher studies and develop the modern tools and techniques.